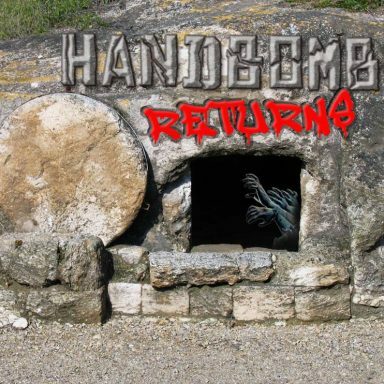 The skies part, the smoke clears, and the illustrious improv duo “Handbomb” returns! This Sunday join us at Fallout Theater in welcoming back local legends Michael Foulk (Greetings from Queer Mountain) and Vanessa Gonzalez (Comedy Central, JFL) as they delight audiences with their unique blend of wit and irreverent charm. Also featuring improv by “Prima Donas.” Lisa Friedrich hosts. Fallout Theater is BYOB every Tuesday, Wednesday, Thursday, and Sunday. Patrons 21+ are allowed to bring alcoholic beverages and enjoy them in the theater during the show. If you buy an online ticket, you must arrive 30 min before the show start time to guarantee your seat. If you do not check-in and claim your ticket at least 10 min before the show start time, your seats may be given away to people who have signed up for that show’s waitlist. In the event you are not present and your seat has been forfeited, no refund will be offered.